To login you need to move to the About tab along the top and then press the * key on your remote, it’s been built to be not too obvious as you don’t need to login to use the app with the lower quality stream which most people are happy about. Details will remain saved on the box for future use. Premium FilmOn is £/$/€14.99 a month, with savings for a year, but I’d suggest sticking to a rolling contract. The app doesn’t support any of the DVR features FilmOn offer, so unless you plan to use them with other devices I’d suggest not adding on any extras. Finally many thanks for all those who recently donated. It’s great to know that for me what was just a hobby meant so much more to you. Thanks for yet more options and your hard work making them happen. One question, is this version suitable for both subscription and non subscription or is it a separate app ? The app works fine without a subscription, and there will only be one version. Some small code changes which shouldn’t be to noticeable if you don’t login, but I’ll be blocking old versions of the app on NOW TV boxes at some point in the new year. I just rebooted my roku stick to check out the new version, while all the channels that I’ve checked play well , when I go to the about section to check the version number the app shuts down and the roku goes back to the home page. @mark thanks for the early bug report, hopefully fixed in 2.0.10 that’s just been pushed to the Roku store. That’s sorted it , thanks ! Is there anyway you can help look into that by any chance? Add kix to ade’s list of kids channels not loading, other than that I put it on a black now tv box a nowtv smart box and roku stick and apart from the mentioned kids channels all is well. I’ve checked the official filmon android app and found those three kids channels are not working on that app either, so it looks like a filmon fault. 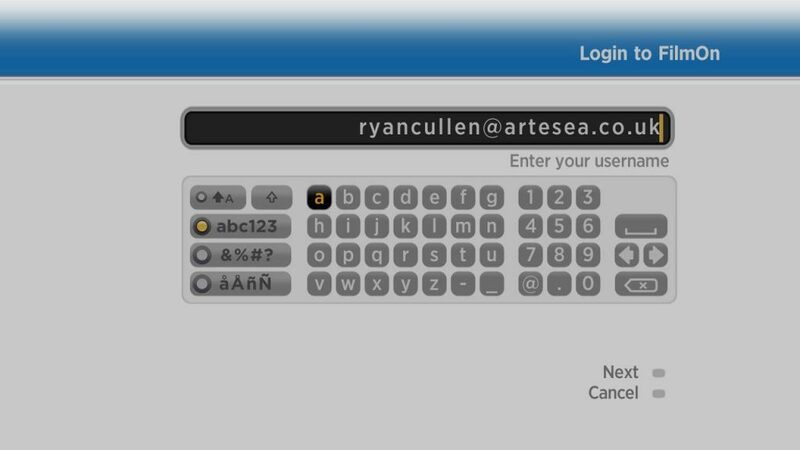 Hi Ryan, from the screengrab of the new version it appears that the USB option is no longer available….. If so could you possibly consider not blocking old Now Tv versions as my elderly father-in-law uses both the filmon channels (as the local tv signal sometimes fails), and the usb to look at photos. @jac the screenshots were taken from a white NOW TV box, as this doesn’t have a USB port that menu item isn’t available. Any with USB support will show it. Hi Ryan I see no channels are working. Is this perhaps a Filmon issue? Selwyn, the channels are playing out here fine for me. Hi It’s sorted was actually a wifi issue. Sorry for the panic attack. Could you add BBC1 Scotland ? @jim, I’ve just added the BBC 1 regions. You should be able to view them now, and the now/next data should appear within the next hour. Hi ryan, it seems that no audio is playing when I try to play videos from my usb. What should i do? Thanks in advance. @adam, the Roku box only supports a small number of audio codecs. Most likely you’ll need to transcode your files first to something they support. Hi Ryan, very cool Roku app. Tell me please do you have ability to add video on demand? Ryan, Thanks for helping us Yanks watch good British tv. Any luck getting Dave channel on the roku app? Chris, unfortunately there is no stream for Dave. Even in the UK I can’t manage to watch Dave on my Roku box, instead I have to use my laptop or mobile. So Dave is in the Filmon app? Dave was removed from filmon on all platforms a while back. Unfortunately not, UKTV have decided they don’t want to be on Roku and have blocked FilmOn from showing their stations. “In the coming days, there will be a few changes to the NOW TV Box as part of our regular updates to improve the service. Is there a way of stopping it from auto updating ? My grandsons now TV box has updated and Ryan’s app is gone , am i right in thinking the Roku boxes won’t be affected by this ? This will only impact NOW TV boxes not Roku. You cannot block the NOW TV boxes from upgrading the firmware (although I’m not sure the upgrade will happen with boxes located outside the UK). @nigel,that’s not what Network Pings do. The only way to block the update is null traffic on your router to the Roku servers (and that’s often requires custom router firmware), but apps will never update an may stop working. Thanks Paj, my rokus are still working with Ryan’s app. No but i believe there are filmon plug in /add-on’s for kodi. I’m sure there are other filmon plugins for kodi, can’t say if they are geolocked or not but it’s probably worth a scout around as it costs nothing ! I should add a big thank you to Ryan for the work now TV / Roku app which I’ve enjoyed, it also lead me to trying out Roku which my family love. Install Failure: Auth token required to install dev channels on this device. The box is now version 7.5.3 build 4068-10. Any ideas how to fix it? 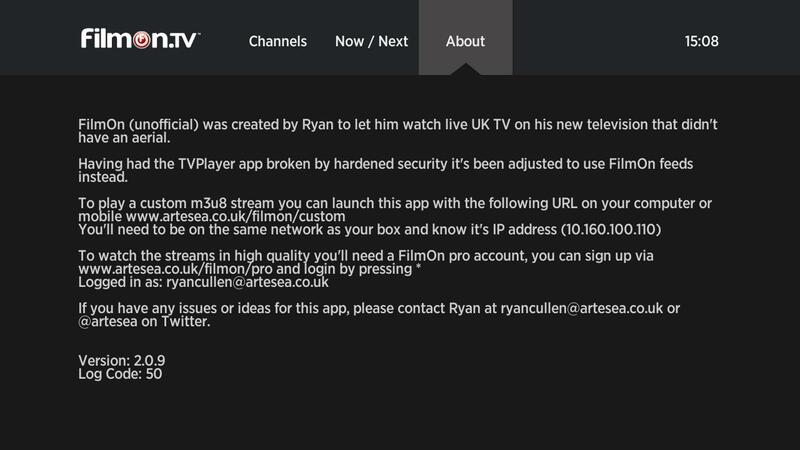 Now TV have updated their firmware to remove and block sideloaded apps which unfortunately includes Ryan’s app. Time to get a Roku if you wish to continue using the app. I was wondering if anyone using the NZ or Italian or any other countries version of the now TV box have been affected by the firmware change that we have had in the UK. Hi there, is there a specific roku which works better than the others? which roku would you recommend? Have had Ryans app on the now tv box for my daughters room as she is so upset now after the update. Would consider a roku but would like your advise as to which one. Thanks in advance. i’ve had different roku’s in the past, as well as now tv boxes. if you can have a wired connection, i would go for a roku 2 or 3, bearing in mind that since there are lots of versions around (especially on ebay), check that you are buying the 2015/2016 version, not the older ones. in the case of roku 2 the version is 4205 or 4210, for roku 3 it’s 4200.
the only real extra in roku 3 is the earphones plug on the remote, which was the reason i chose it, rather than the roku 2, but for me, sound quality is really awful, so im not using it. a wired connection makes a big difference in signal and steeaming stability. however, if you go wifi, i’d buy the roku streaming stick, which is cheaper than a 2 or a 3, but placement can be tricky, depending on your tv. overall, i think your best choice would be a roku 2. you can get it for around 50 pounds. Dave, my personal preference is the Roku 2 (4205E). Hardware wise it’s the same as the small black NOW TV box, but also has Amazon Prime Video and Netflix apps. The Roku stick is cheaper (but slightly slower to move around). The Roku 3 is the most expensive, but the difference is in the remote. Thanks Ryan. Roku 2 is the one . Is it possible to add VoD(movies)? I have two ROKU boxes. ROKU v.1 box and a Hisense TV with built in Roku (I’m guessing either Roku version 4). I notice that Filmon Unofficial works on ROKU v.1 but not on the built-in version on Hisense. Is it because of the Hisense TV that the Filmon Unofficial app doesn’t work, or does this app only work on ROKU v1?